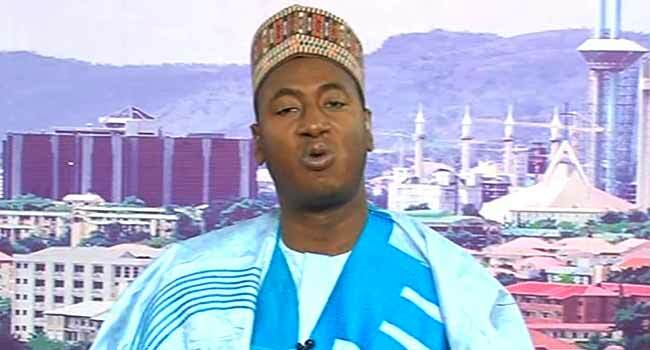 The Miyetti Allah Kautal Hore has taken a swipe at Fulani lawmakers in the National Assembly for failing to protect the interest of the people from their tribe. Secretary-General of the socio-cultural group, Mr Saleh Al-Hassan, faulted the legislators on Friday in a telephone interview on Channels Television’s Sunrise Daily. “Our elites have failed to come out and represent,” he said from Kaduna. “Our National Assembly members that are of Fulani background are there; they are just there collecting money. “They can’t defend their people, they don’t want to talk and say the truth. No ethnic group will wake up one and expel the pastoralists from Nigeria because they are Nigerians,” Saleh added. (File) Secretary-General of Miyetti Allah Kautal Hore, Mr Saleh Al-Hassan, speaks about the herdsmen-farmers crisis in Benue State on Sunrise Daily on January 11, 2018. He maintained that the herdsmen-farmers crisis which has claimed hundreds of lives, according to Amnesty International, is politically motivated. The secretary-general cited as examples, the latest of such in which at least 100 persons were killed in Plateau State and the previous incidents in Benue and other states. He condoled with families of deceased in the Plateau killings “whether herds or farmers”, distancing the attack from members of his group. Saleh insisted that the Miyetti Allah Kautal Hore is a peaceful organisation, and there is no member of the group who carries arms. On the Plateau killings, he claimed the crisis was being sponsored by some politicians to divert attention from the corruption offences they were charged with. “We have armed militia that will block highways, kill Fulani people, roast hundreds of cattle in a terrain like Plateau State that is not like a rainforest or where you have trees. These things are purely political like the anti-grazing law in Benue,” he claimed. “The agenda to exterminate the Fulani people on the Plateau is not going to work because they are not aliens; they are indigenous in that place,” he insisted.